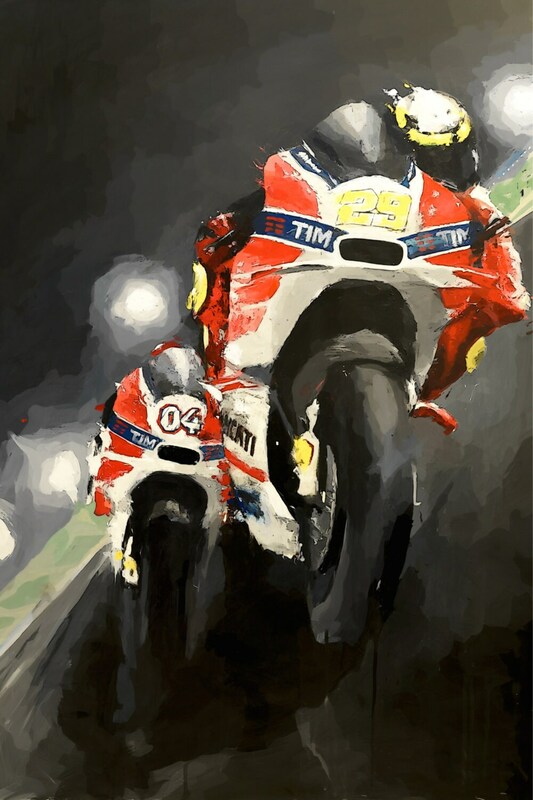 Lorenzo may have won the 2016 season opener at the Qatar Grand Prix, but the real drama was the battle between Dovizioso and Iannone. 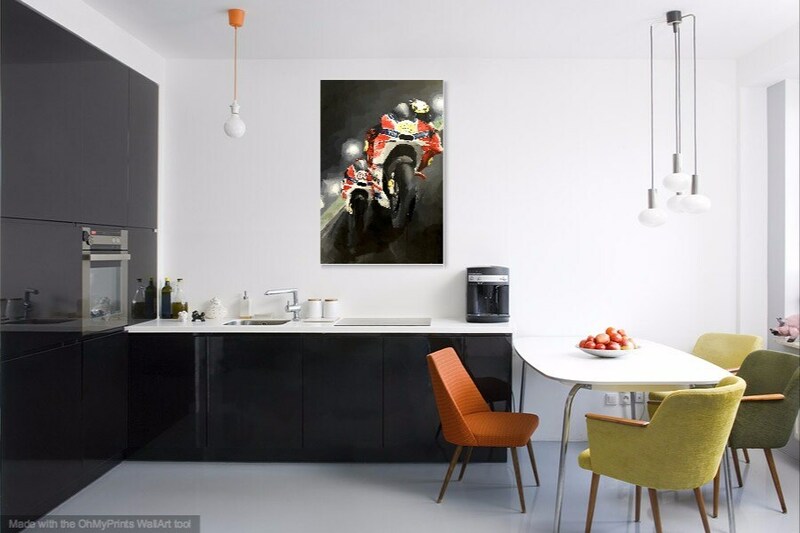 As part of a one-painting-per-2016 MotoGP Round, the artist chose to depict the battle between Ducati's factory riders prior to Iannone's crash at turn 13. 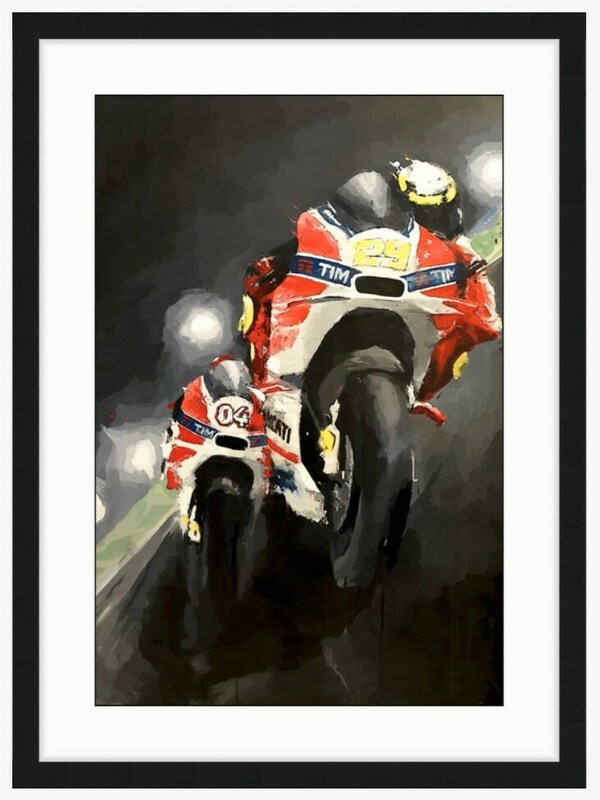 Iannone's mistake and the drama at the Losail circuit would go on to set the exciting, but unfortunate, tone of the season for Ducati's team. Artwork will arrive rolled in a durable shipping cylinder. Because canvas is flexible, it will not retain a rolled shape like paper does.